After seeing a few rave reviews about the Antipodes Juliet cleanser I thought it was a product worth researching about. I've been using this cleanser for a few weeks now and feel I can give an honest review. I'm going to start off with the only criticism I have and that's the scent. It's a strange scent to describe and one I've not come across before, initially you can smell green apples which is a refreshing appetising scent and one I like. But then you're left with the not so pleasant scent of cardamon, maybe it's a mix of the two? I have become use to the scent now and it's not as unpleasant. It soon fades once massaged into the skin and rinsed away. I was particularly drawn to this cleanser after reading about the amazing ingredients and their benefits. New Zealand kiwi and Hibiscus flower extracts work together to exfoliate the skin revealing brighter, cleaner blemish- free skin. Another top ingredient is Manuka honey. It's known for its antibacterial properties which help reduce and balance oil production. This is a big problem for my skin at the moment, whilst I'm still using some amazing facial masques I can't rely on them daily to help keep my skin comfortable. My skin is definitely looking clearer and my pores are not as enlarged but sadly I'm still suffering from an oil slick of a forehead. 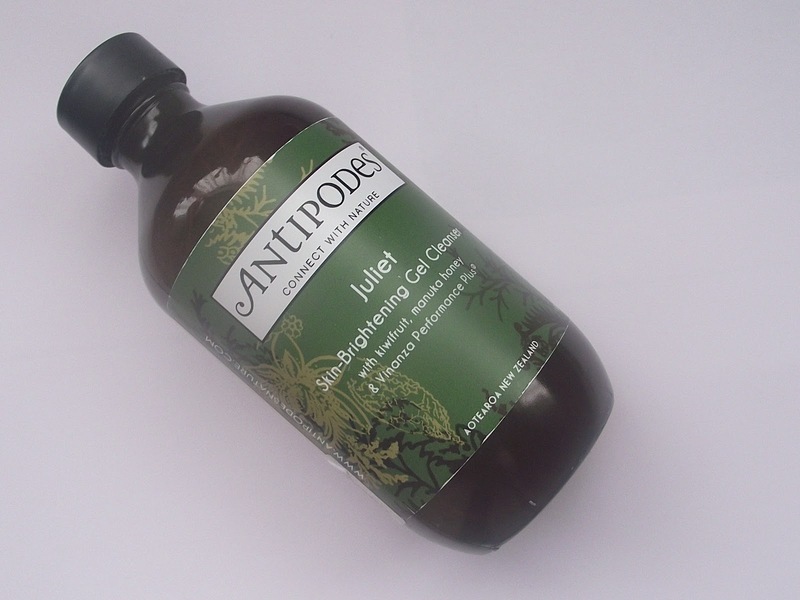 Overall I'm very happy with the Antipodes Juliet Skin-Brightening Gel Cleanser. Has anyone tried this or anything from the Antipodes skincare range? Let me know any recommendations. Have you tried the Apostle brightening serum? It's lovely, really helps brighten the skin. NIce review! i havent tried any Antipode Products but I know they contain great quality ingrdients , beneficial for the skin! I may treat myself sometimes soon then :-). I'm really keen to try more of the range also.